Thank you all for joining us on this new chapter and welcoming the newest addition to our little Petree Clan. 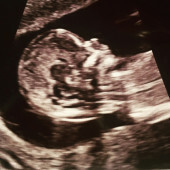 For those of you who don't know yet - it's a boy, and we are so excited to meet him! Choosing things for the registry wasn't as easy as we remembered with Ally, there are so many new gadgets to research! We did our best and want to thank you in advance for the love and support. Feel free to stick with the items on the registry, or if you know of any must-haves that we missed, bring it on! We are also building his book collection for anyone that wants to go that route.